A popular and intriguing garden feature that many have integrated into their landscape design is a warm fire pit/table. This will create a warm ambient atmosphere that will transform your garden in the evenings. 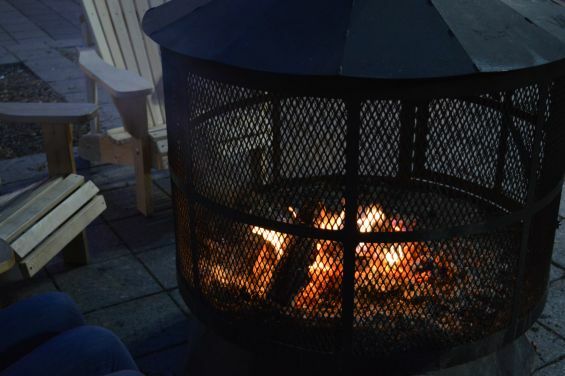 A fire is a sure way of getting people to come together to socialise and interact with the warmth whilst looking at the stars or enjoying a couple of drinks with a toasted marshmallow. Combining an outdoor fire pit with our Award Winning Outdoor Living Pod ™ will create the ultimate dedicated outdoor living space. It’s electronically operated louvers means you can extend your time outside for even longer, its watertight louvered roof system combined with its integrated guttering system will keep you dry against the rain and keep your fire burning. 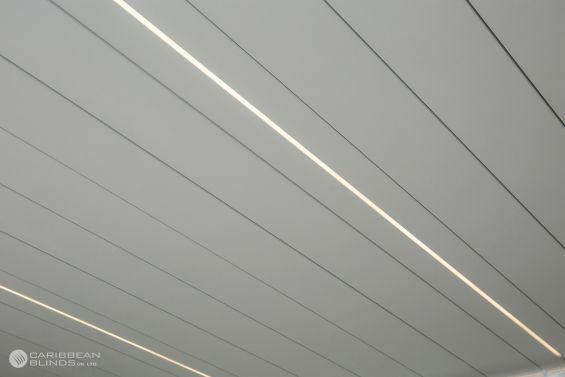 With additional side screens you can completely close off a side of your choice to deflect any wind or rain. 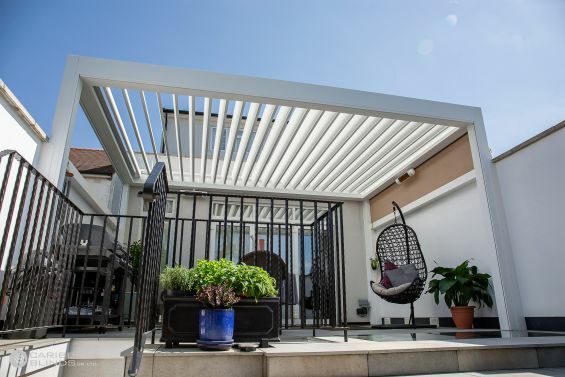 Our louvered pergola can be made bespoke to your requirements to create a space that works for you. It’s time to enjoy outdoor living for longer, enhance your garden today and make the most of your external space. Contact our team find out more about our luxury garden canopies 0344 800 1947 or alternatively you can email us using our quick enquiry form and we will send you a FREE detailed brochure. 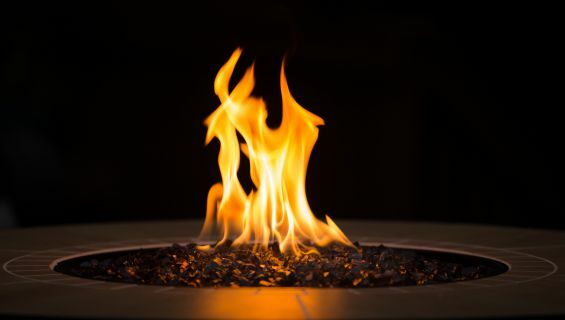 *Please note - Adding fire to the exterior garden design may cause concern for some when it is so close to home but a good quality fire feature will contain a fire safely and cause no disruption. Always practise fire safety especially if you have children, fire should never be played with and it should be treated with respect at all times.